Crafted by hand, a floral garland brings its beauty to holiday décor. Rajesh Gehlot creates this novel design, adding beadwork details. 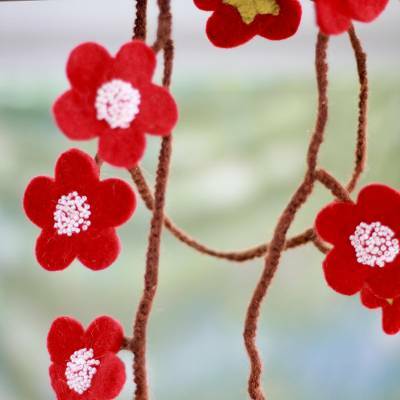 Wire hidden inside the stem allows the garland to be bent to the desired shape.